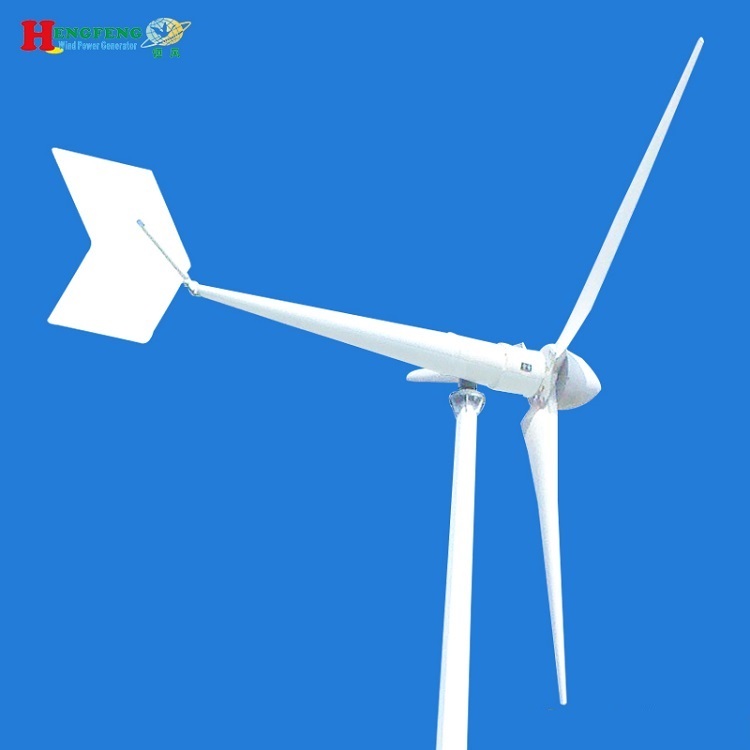 3.Blades using new art of precision injection molding , matched with optimized aerodynamic shape and structure,which enhance the wind energy utilization and annual output. 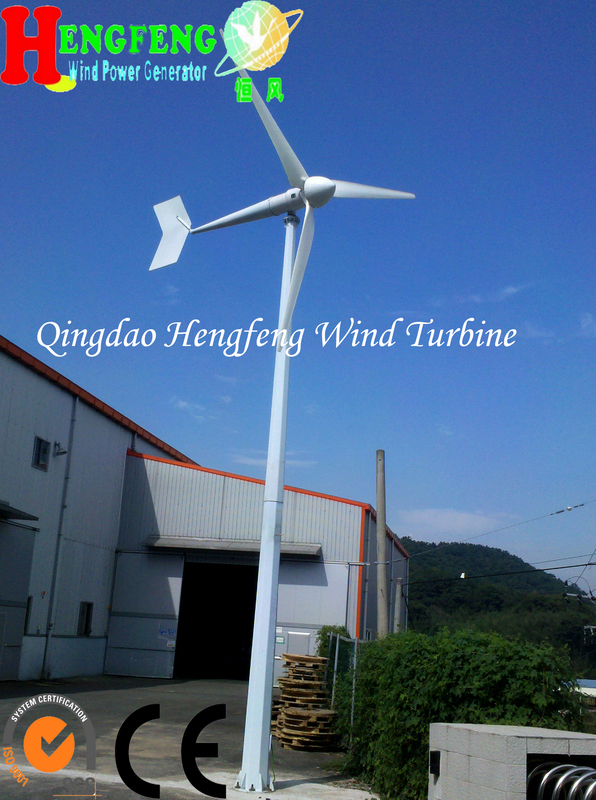 4.Body of casting aluminum alloy, with 2 bearings swivel , making it survive stronger wind and run more safely. 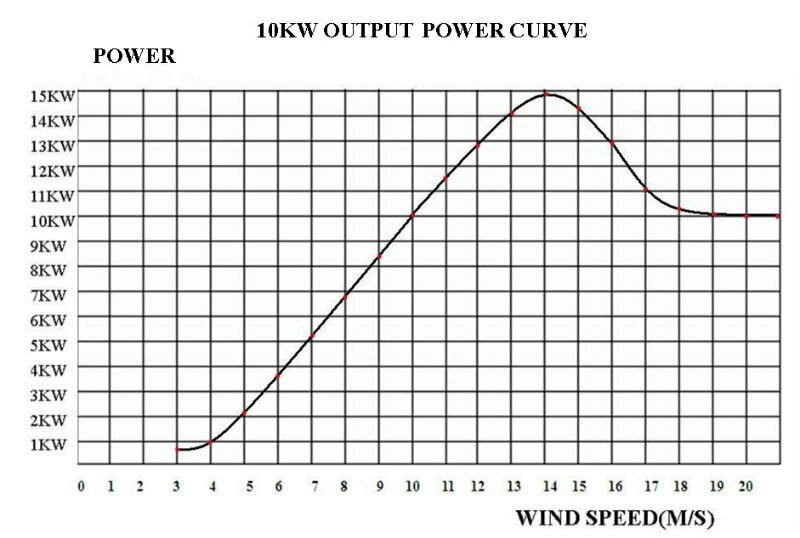 5.Patented permanent magnet ac generator with special stator,effectively reduce torque, well match the wind wheel and generator, and ensure the performance of whole system. 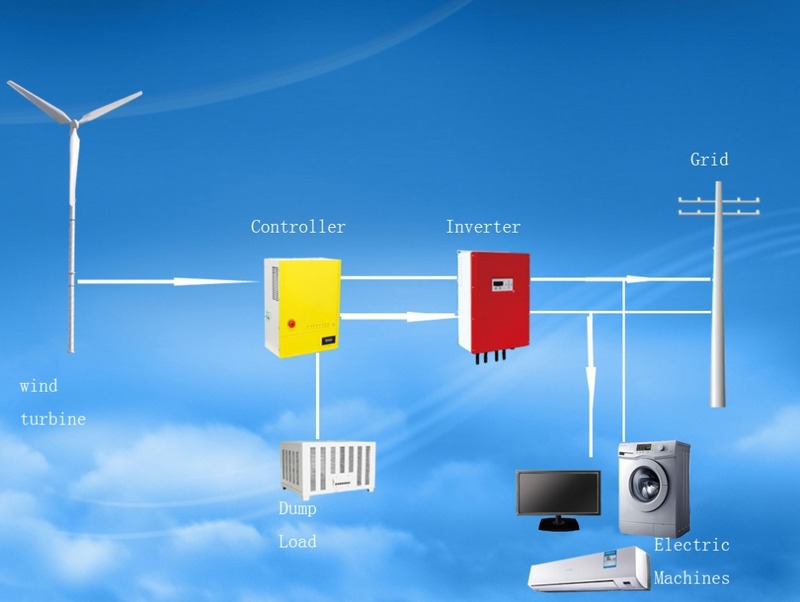 6.Controller, inverter can be matched according to customers’ specific needs. 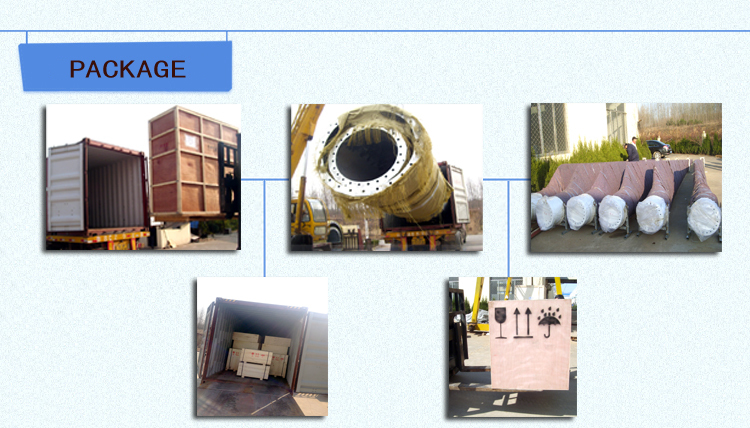 We use plywood case and film to package component and we also can package for your requirements. 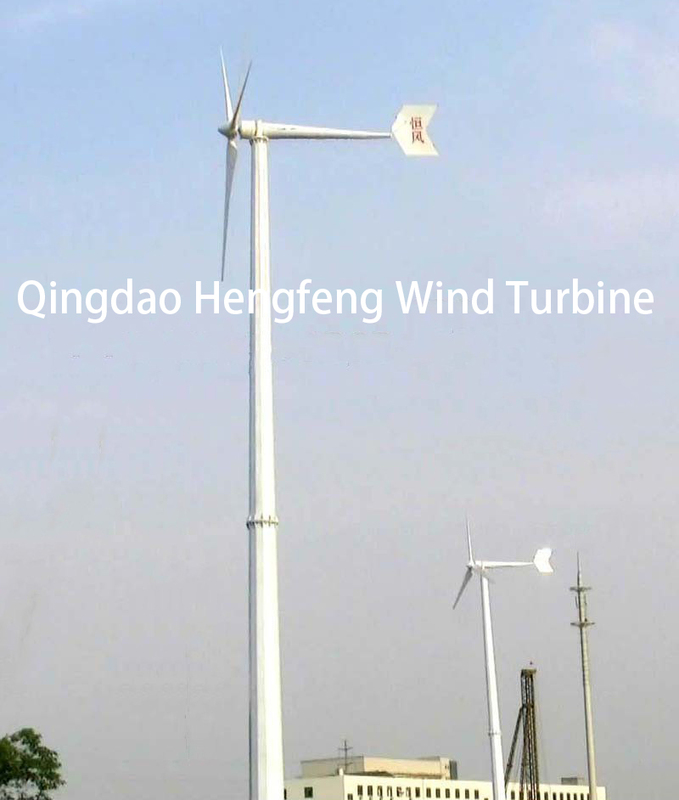 1.Qingdao Hengfeng Wind Power Generator Co.,Ltd is one of the leading wind turbine manufacturer in China. 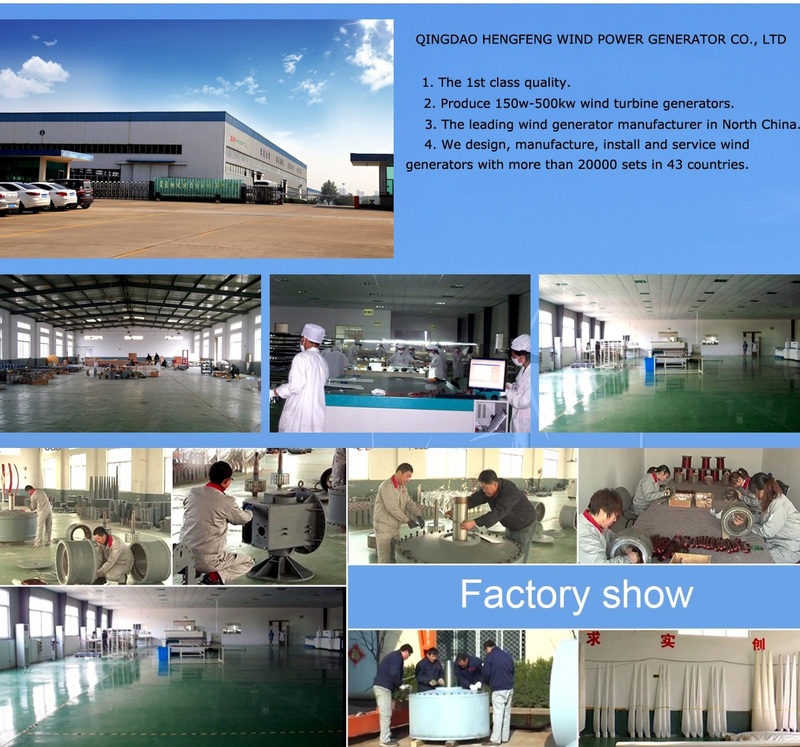 Company start at 2004,Workshop covers more than 5000 square meters.It is about 1 hour by car to Qingdao Airport.The traffic is very convenient. 2. 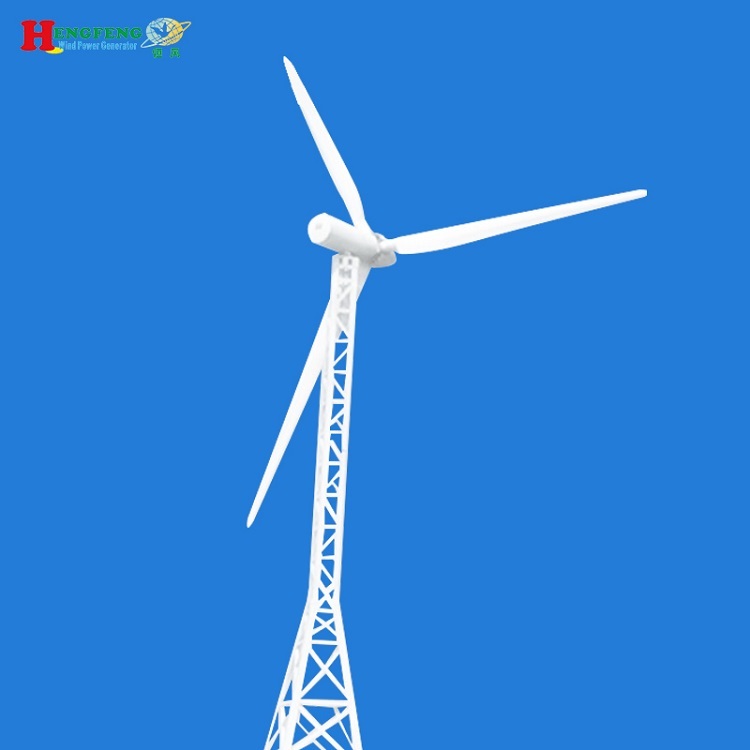 Our company owns advanced design and manufacture technology of wind turbine generators. 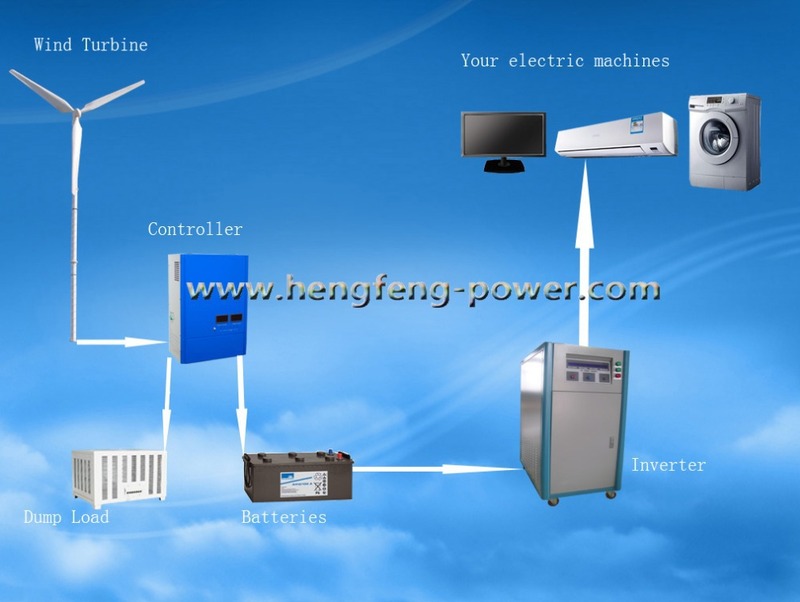 We also have wind solar hybrid system, we can design the system according the requirement from our clients. 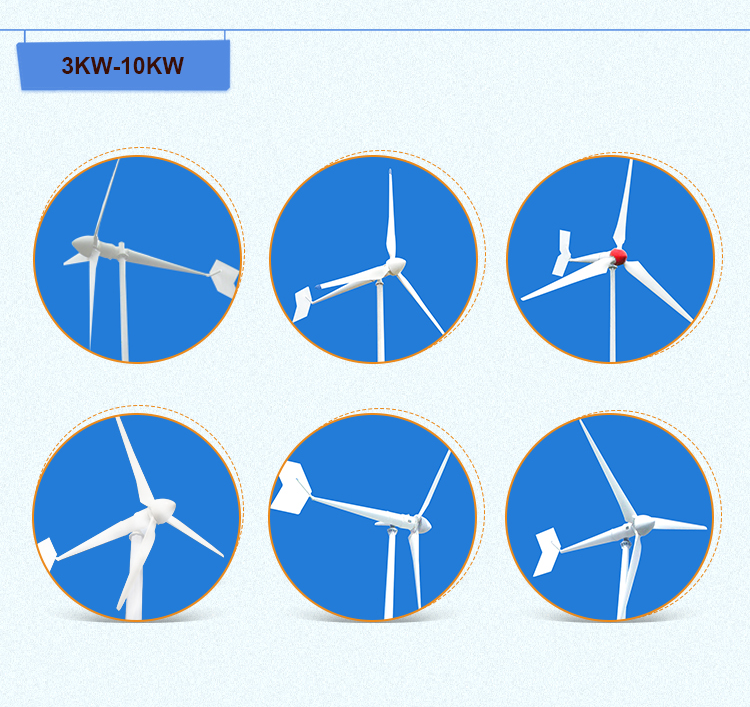 3.Our products have except to more than 60 contries,for example,Europe,Middle East,Southeast Asia,Australia etc.We have unrivalled experience and has built up a global reputation for their robust and reliable performance. 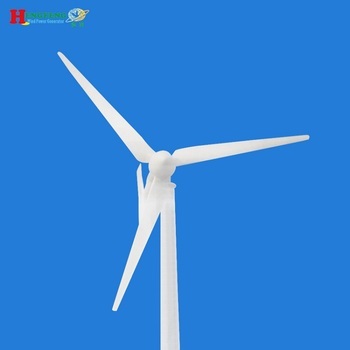 1.Reply your inquiry in 24 workig hours. 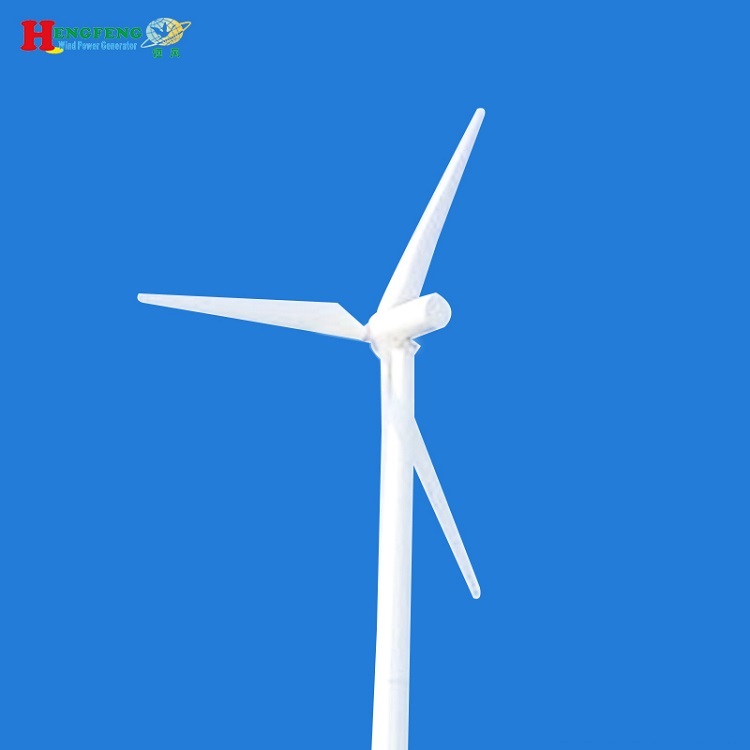 T/T 50% as deposit, the balance must pay off within 10 working days after production.